Here’s another scrumptious adventure waiting for you to discover. I recently found out about Matchstix Fusion Cafe by La Flamme Bleue here in Iloilo City. To my surprise it was no ordinary cafe but rather has one of the most unique concept I have ever heard in my entire journey of blogging around the country and even on some other parts of the world. This Culinary hub is living the best of both worlds indeed. In the morning, you’ll find students vividly listening to their respective professors and Chef Masters as they learn to unleash the magic within their hands, to prepare the best dishes and cook beautiful cuisines one possibly can ever imagine. Spot me and my sister while having fun with the student chefs during our visit! Evening comes and Matchstix fusion starts opening their doors to all the avid and new customers craving to dine, taste and experience the world through their scrumptious international dishes served during the restaurant operating hours, respectively 6PM-10 PM every Tuesday to Saturday. During our visit we were able to go around their kitchen and I can’t help but notice how neat and complete the kitchen facilities were. To sum it up the kitchen can accommodate sixteen (16) student chefs , eight (8) counters complete with stove and all other kitchen utensils that you can think of. I find their students very welcoming and accommodating too. Not to mention Chef Shiela the restaurant Manager who’s been there all the way to tour us around and explain everything about this new found culinary haven. We were even convinced to have our younger brother enroll the said culinary courses offered by La Flamme Bleue Center for Culinary arts soon. The owner of this brilliant fusion restaurant is Chef Don Infante, most if not all of the ideas implemented at La Flamme Bleue Culinary School and Matchstix Fusion Cafe was from him. I haven’t met him personally, but I can totally tell how great ideas were formed by him and his excellent team not to mention his smart skills when it comes to doing all the kitchen magic. The Cafe’s ambiance is cozy, private and romantic. I can totally recommend this place for people who’d love to stay at places with less crowd and have their day spent at a quaint restaurant. Mouthwatering international dishes are served in a very affordable and reasonable price. What I love about the restaurant was their undeniably scrumptious and addicting menu. Everything you see on their menu is super worth it and even went beyond my expectations. For your information La Flamme Bleue Culinary school offers both the Certificate in professional culinary arts taken by students for six (6) months and the Diploma in professional culinary arts for one (1) year with numerous cool and awesome benefits, one of which as mentioned during our visit was having the possibility of OJT abroad too. Over all I’d have to rate this restaurant 5 shining stars! They are 100% great in terms of quality supported by the generous portions of every dish! Calling all the aspiring Chef Masters in Iloilo and the foodie travelers out there, this one’s for you! 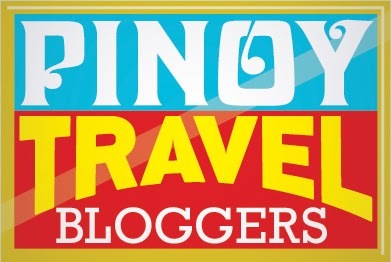 Hope this blog post gave you another great idea on where to eat when in Iloilo!